Home > News - SEPTEMBER 2016 > Drive away the fear of missing out with “Star World Now Trending” - It’s time to say No More to FOMO! Drive away the fear of missing out with “Star World Now Trending” - It’s time to say No More to FOMO! Hyderabad, August 2016: In today’s fast-paced world, consumers have the innate desire to receive instant services and real-time information. The fear of missing out on the latest trends, including the latest and most talked about TV shows has become very real for consumers. As leaders in English entertainment, Star World and Star World HD will endeavour to fulfill this need of viewers to ensure they aren’t missing out on any of the action by launching a brand new day and date primetime slot beginning 21st September 2016. The ‘Star World Now Trending’ slot will air the biggest international television shows soon after the U.S. on weekdays at 9pm and weekends 8pm onwards. Through the ‘Star World Now Trending’ slot, the channel will be setting a new benchmark by premiering over 8 new primetime shows across the week. It will be a path breaking makeover of the weekday and weekend primetime slot with the highest number of day and date shows compared to any other channel in the English entertainment genre. Audiences are in for a treat with an exciting and diverse line-up of shows including genre bender shows like SCREAM QUEENS season 2. 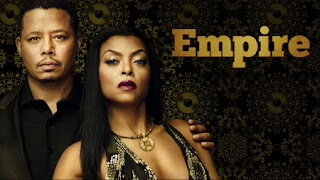 In thrillers and dramas, the channel will be bringing back EMPIRE season 3, THE BLACKLIST season 4 and HOW TO GET AWAY WITH MURDER season 3. The channel will also premiere season 6 of the feel good comedy show 2 BROKE GIRLS and season 2 of the musical comedy show CRAZY EX-GIRLFRIEND. That’s not all! Catch several new show launches starting September onwards beginning with PITCH, a sports-drama series based on the inspiring journey of a woman trying to create history in a man’s world through Major League Baseball and SON OF ZORN, a live-action animated TV series starring popular Hollywood actor Jason Sudeikis as Zorn. In addition to the returning ensemble cast, the new season of Scream Queens will also star Taylor Lautner and John Stamos and is set in a hospital, where some of the most fascinating and bizarre medical cases are under observation. Empire season 2 left on a cliffhanger with a death and a wedding. Season 3 will keep the audience intrigued with the Lyon family reeling from a tragedy that could rock the foundation of their relationships and their musical empire. Season 3 wrapped up with a huge twist that not only is Liz very much alive but also that Alexander Kirk, the man Red blamed for her death, was actually her father. Season 2 of Emmy award winner Viola Davis starrer How to Get Away with Murder unveiled the identity of Wes’ father and the secret behind Frank’s intentions. The new season will continue to dig deeper into the mystery and suspense of Annalise and her interns. Who can be trusted and who cannot, will be the question. From working as waitresses to becoming co-owners, Max and Caroline still hold onto their dream of expanding their cupcake business. The sixth season is a new adventure for the two girls who are no longer broke. Rebecca and her crush Josh get back together in the season finale of Crazy-Ex Girlfriend. Season 2 is a hilarious parody of the effect their relationship has on the rest of the cast. The show stars Golden Globe winner Rachel Bloom in the lead. Pitch is a first of its kind series officially associated with the Major League Baseball and focuses on a young female pitcher who becomes the first woman to play in the league when she is chosen to play for the San Diego Padres. Son of Zorn is a unique show centered on a cartoon Barbarian dad who leaves his village in the animated world in order to reconnect with his non-animated teenage son in suburbia. It doesn’t get bigger or better than this! Star India has defined the Indian media landscape for over two decades and today is one of the country’s leading media conglomerates, reaching approximately 650 million viewers a month across India and more than 100 other countries. Star generates 20,000 hours of content every year and broadcasts 40+ channels in 8 different languages, reaching 9 out of 10 C&S TV homes in India. The network’s entertainment channel portfolio includes Star Gold, Channel V, Star World, Star World Premiere HD, Star Movies, Star Movies Select HD, FX, Star Utsav, Life OK, Movies OK and Star Plus, India's No. 1 Hindi General Entertainment Channel. It has a leading presence in regional broadcasting as well, through a bouquet of affiliate channels which includes Star Jalsha, Jalsha Movies, Star Pravah, Asianet, Asianet Plus, Suvarna, Suvarna Plus, Vijay and now Maa. It is also present in the Indian movie production and distribution space through Fox Star Studios, an affiliate joint venture company.